Today is a two-fer in saints’ days. 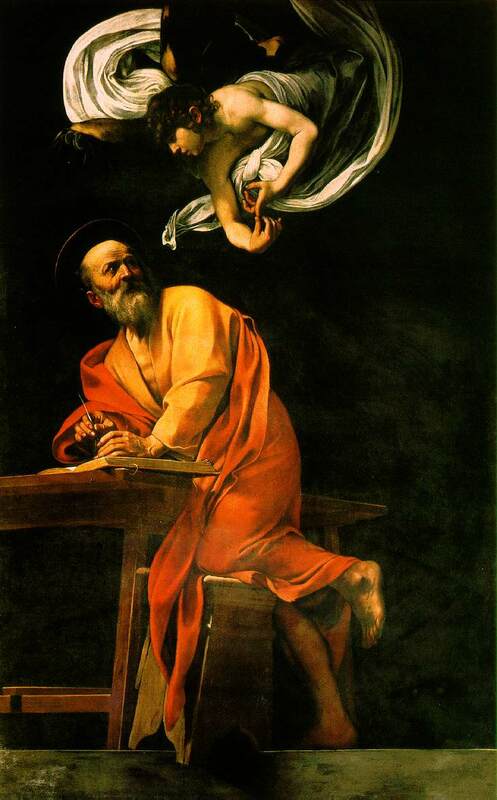 In the eastern Orthodox tradition it is the feast of St Matthew the Apostle (מַתִּתְיָהוּ‎‎ Mattityahu, “Gift of YHVH”; Greek: Ματθαῖος Matthaios; also known as Saint Matthew and as Levi) who was, according to the Greek Bible, one of the twelve apostles of Jesus and, according to Christian tradition, one of the four Evangelists. Today is also the feast of St Hugh of Lincoln. Let’s take them in turn. 9 As Jesus went on from there, he saw a man named Matthew sitting at the tax collector’s booth. “Follow me,” he told him, and Matthew got up and followed him. 10 While Jesus was having dinner at Matthew’s house, many tax collectors and sinners came and ate with him and his disciples. 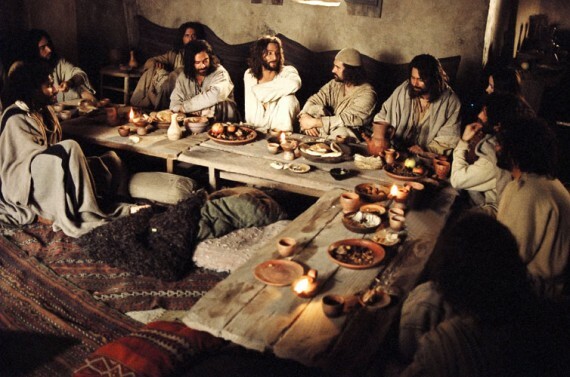 11 When the Pharisees saw this, they asked his disciples, “Why does your teacher eat with tax collectors and sinners?” 12 On hearing this, Jesus said, “It is not the healthy who need a doctor, but the sick. (Matthew 9:9-12). Matthew is identified as an apostle in the other gospels, but only in the gospel according to Matthew is there this kind of detail about him. In passages parallel to Matthew 9:9, both Mark (2:14) and Luke (5:27) describe Jesus’ calling of the tax collector Levi, the son of Alphaeus, but Mark and Luke never explicitly equate this Levi with the Matthew named as one of the twelve. Nor was what we now call the gospel according to Matthew identified as written by Matthew the apostle until the 2nd century. It, like all the other gospels, was originally anonymously written. 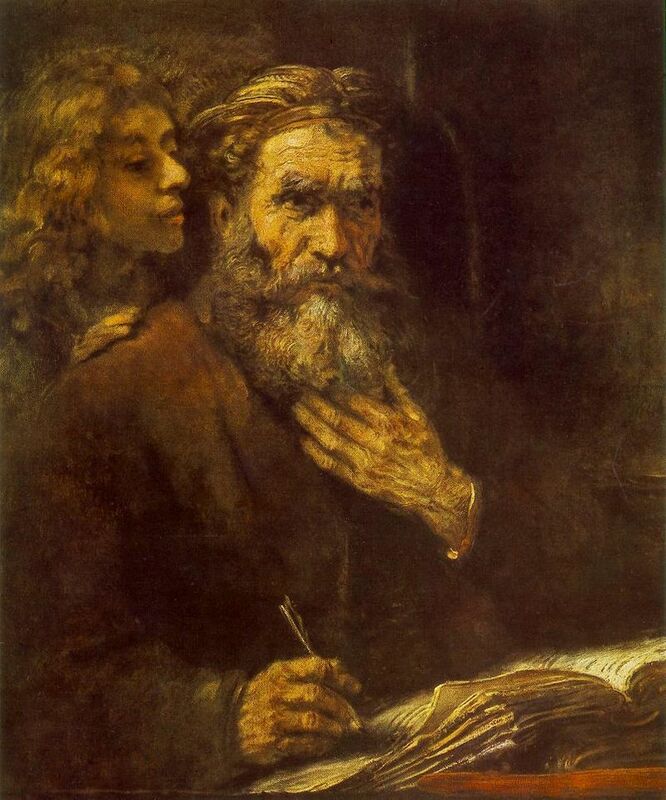 The specific references to Matthew’s occupation and actions, although brief, were a major reason for early theologians equating the gospel writer with the tax collector/apostle. But there is no good cause to equate the two men, and it is the consensus of modern scholars that the apostle and the gospel writer were different men. Because of lack of detail concerning Matthew the apostle I’ll concentrate on the gospel writer, but return to the apostle for a recipe idea. Matthew’s gospel, like Luke, was written with Mark as the basic source but with extraneous material added from unknown sources. Like Luke, Matthew includes a genealogy of Jesus and some details of Jesus’ birth and infancy, but Matthew differs from Luke in major ways in both cases. Matthew’s genealogy goes only as far as Abraham whereas Luke’s extends back to Adam. Any anthropologist worth his salt will tell you that the starting point of any genealogy is vital. For Luke, a gentile, the point of the genealogy is to stress that Jesus was messiah of all humankind, whereas Matthew stresses only that he was from the line of Abraham – that is, a Jew. That, plus other evidence I won’t go into, tells us that the writer of Matthew was a Jew. Matthew’s gospel gives a very different version of Jesus’s birth and infancy from Luke’s. Matthew has Jesus born in Bethlehem, but with no mention of the manger, shepherds, and so forth. Instead he focuses on the visit of the Magi from the east bearing gifts. 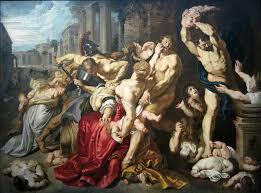 Next, he mentions Herod’s fury that a prophesied king has been born in Judea, and orders the massacre of all Jewish newborn boys. Joseph and Mary escape with Jesus to Egypt and remain there until after Herod’s death. If Christmas were primarily based on Matthew’s account of the nativity rather than Luke’s it would be a markedly different celebration. For me the most impressive section of Matthew’s gospel is the Sermon on the Mount (Matthew 5 – 7). For my money, if you want a distillation of Christian principles your best bet is the Sermon. Scholars generally agree that the Sermon is pieced together out of sayings of Jesus from traditional sources, rather than something resembling a verbatim account of an actual sermon that Jesus delivered on a mountain or anywhere else, but I don’t care. It crystallizes the Christian life in clear pithy images. What I do care about is that a great number of people who call themselves Christians don’t follow the principles of the Sermon, or even try. 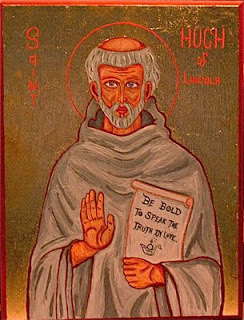 St Hugh of Lincoln (1135/40 – 16 November 1200), also known as Hugh of Avalon, was a French noble, Benedictine and Carthusian monk and bishop of Lincoln. At the time of the Reformation, he was the best-known English saint after Thomas Becket. Hugh was born at the château of Avalon, the son of Guillaume, seigneur of Avalon. His mother Anne de Theys died when he was eight, and because his father was a soldier, he went to a boarding school for his education. Guillaume retired from the world to the Augustinian monastery of Villard-Benoît, near Grenoble, and took his son Hugh, with him. At the age of fifteen, Hugh became a religious novice and was ordained a deacon at the age of nineteen. Around 1159, he was sent to be prior of the nearby monastery at Saint-Maximin, presumably already a priest. From that community, he left the Benedictine Order and entered the Grande Chartreuse, then at the height of its reputation for the rigid austerity of its rules and the earnest piety of its members. There he rose to become procurator of his new Order, in which office he served until he was sent in 1179 to become prior of the Witham Charterhouse in Somerset, the first Carthusian house in England. Henry II of England, as part of his penance for the murder of Thomas Becket, in lieu of going on crusade as he had promised in his first remorse, had established a Carthusian charterhouse some time before, which was settled by monks brought from the Grande Chartreuse. There were difficulties in advancing the building works, however, and the first prior was retired and a second soon died. It was by the special request of the English king that Hugh, whose fame had reached him through one of the nobles of Maurienne, was made prior. Hugh found the monks in great straits, living in log huts and with no plans advanced for the more permanent monastery building. Hugh interceded with the king for royal patronage and at last, probably on 6 January 1182, Henry issued a charter of foundation and endowment for Witham Charterhouse. In May 1186, Henry summoned a council of bishops and barons to Eynsham Abbey to deliberate on the state of the Church and the filling of vacant bishoprics, including Lincoln. 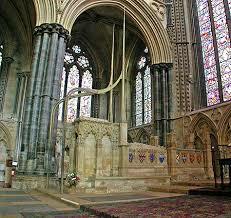 On 25 May 1186 the cathedral chapter of Lincoln was ordered to elect a new bishop and Hugh was elected. Hugh insisted on a second, private election by the canons, securely in their chapter house at Lincoln rather than in the king’s chapel. His election was confirmed by the result. As a bishop, he was exemplary, constantly in residence or traveling within his diocese, generous with his charity, scrupulous in the appointments he made. He raised the quality of education at the cathedral school. 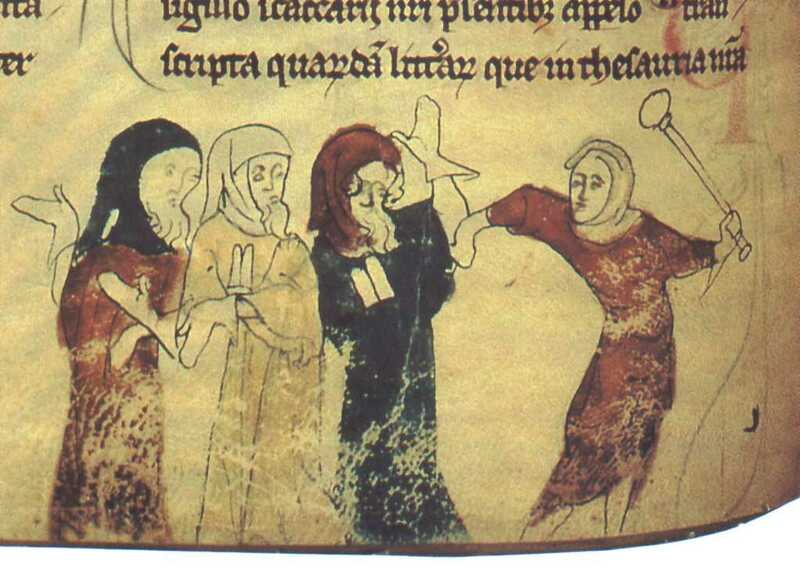 Hugh was also prominent in trying to protect Jews in the persecution they suffered at the beginning of Richard I’s reign, and he put down popular violence against them—as later occurred following the death of Little Saint Hugh of Lincoln. Lincoln Cathedral had been badly damaged by an earthquake in 1185, and Hugh set about rebuilding and greatly enlarging it in the new Gothic style; however, he lived to see only the choir well begun. In 1194, he expanded St Mary Magdalen’s Church in Oxford. As one of the premier bishops of the Kingdom of England Hugh more than once accepted the role of diplomat to France for Richard and then for King John in 1199, a trip that ruined his health. He consecrated St Giles’ Church, Oxford, in 1200. There is a cross consisting of interlaced circles cut into the western column of the tower that is believed to commemorate this event. Also in commemoration of the consecration, St Giles’ Fair was established and continues to this day each September. While attending a national council in London, a few months later, he was stricken with an unnamed ailment and died two months later on 16 November 1200. He was buried in Lincoln Cathedral. 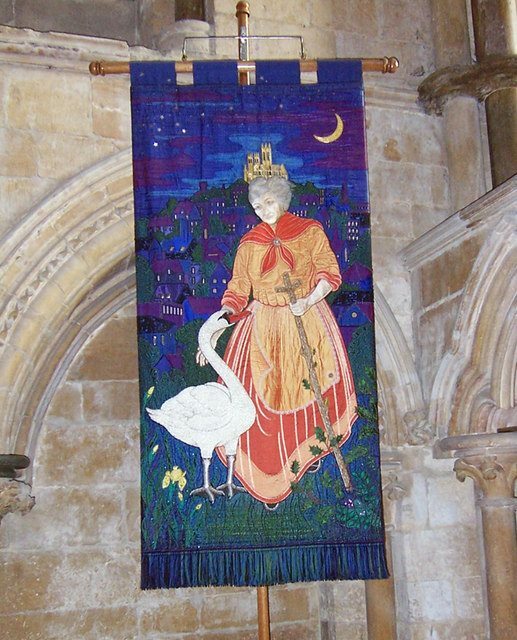 In iconography Hugh is often depicted with a swan because he befriended a swan that followed him everywhere. 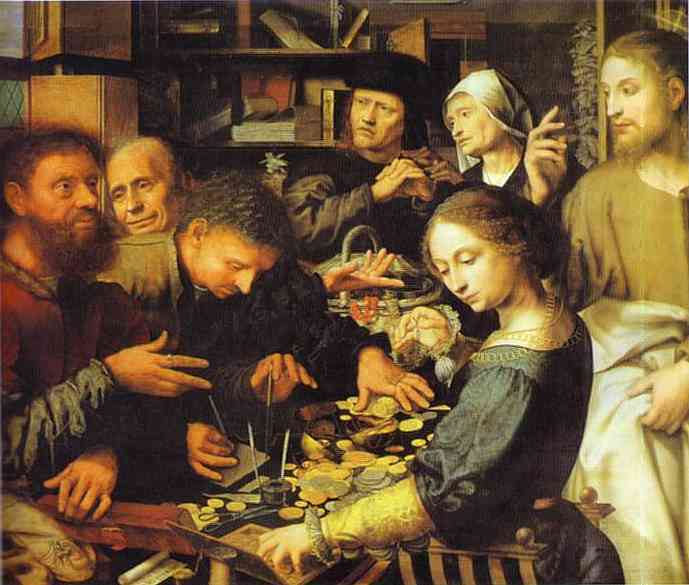 According to the passage from Matthew quoted at the beginning of this post, Jesus had dinner with Matthew and a number of other tax collectors following Matthew’s call. Tax collectors made a lot of money, so we can assume it was a better than average meal. The classic ingredients for a feast of the period would be lamb, lake fish, figs, olives, grapes, and bread of some sort, with cheese or curds and honey. I’ve mentioned before plenty of recipes that would fit Greek Bible times. The meals of the rich were probably sumptuous but not necessarily complex. It’s impossible to know, of course. But I would suggest you be a little creative (mainly because right now I’m thinking about creative ideas for a new cookbook). If you look at attempts at recreating the scene of Jesus at meals they tend to focus on the same ideas: platters of bread, usually unleavened, bowls of fruit, cheese, and some meat or fish – all very simply prepared. These images probably resemble something near the truth, although Renaissance and Baroque paintings tend to look more like the feasts from the contemporary cultures of the artists rather than of the Galilee of the 1st century. Modern attempts are better in my estimation. Meat of any sort was not very common, even for the well-to-do, but fish would have been normal. It would have been grilled, whole, over an open fire. Unleavened bread was not as common as we tend to envisage. At Passover it was essential of course, but leavened bread was normal. Fresh fruits would vary according to the season, but dried fried would be available all year. 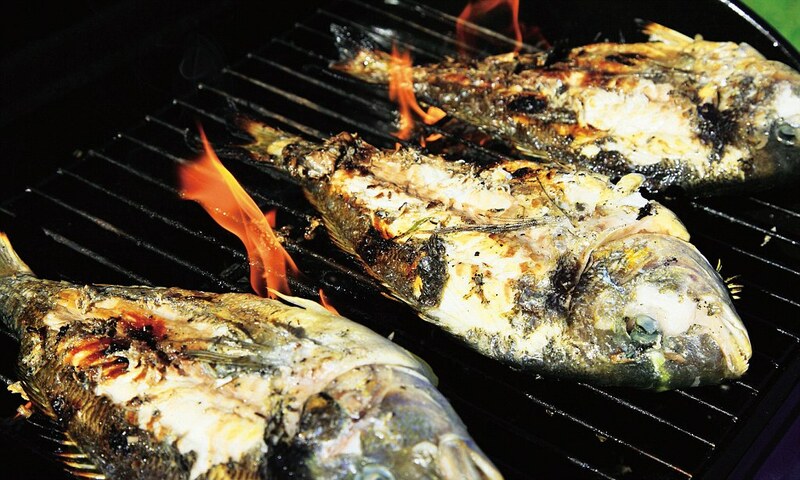 My suggestion is to grill freshwater fish (preferably over coals) and serve it with fruit, bread, and cheese.